MESSAGE FOR SPIKE: I'M TRYING TO COLLECT ALL OF YOUR PICKS. TOUR, AND THE REST OF ALIVE 35 TOUR. I guess these are more of a fan-made item. 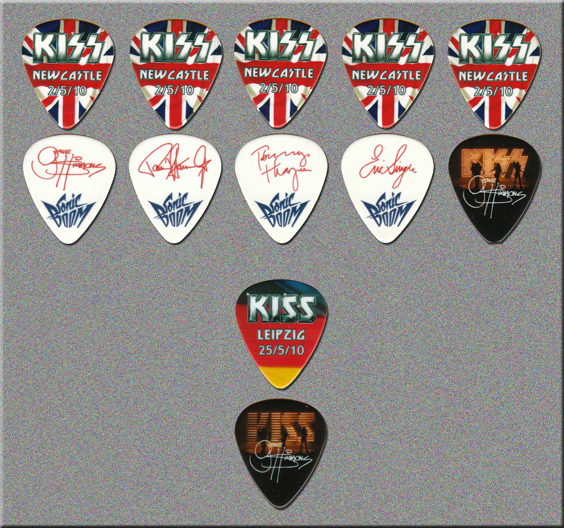 KISS never made pins. 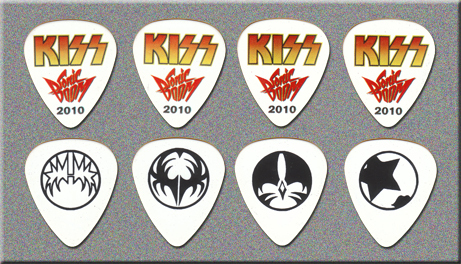 There is a pin for each date of the tour. Here is a pair of sticks & an 8" Drum Head that Eric Singer used on the Sonic Boom Tour in New Castle, England. May 2nd, 1972 is my Birthday! !